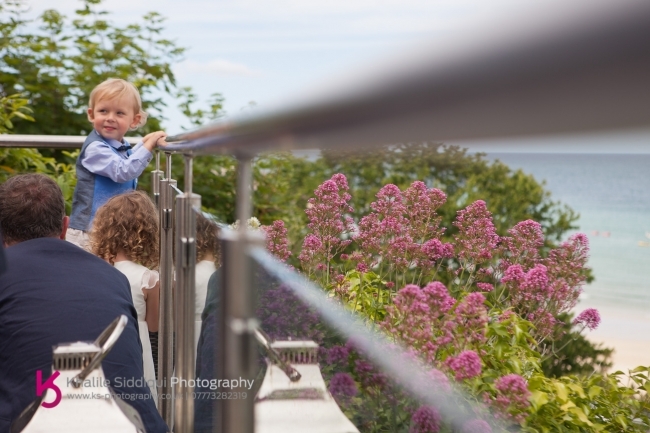 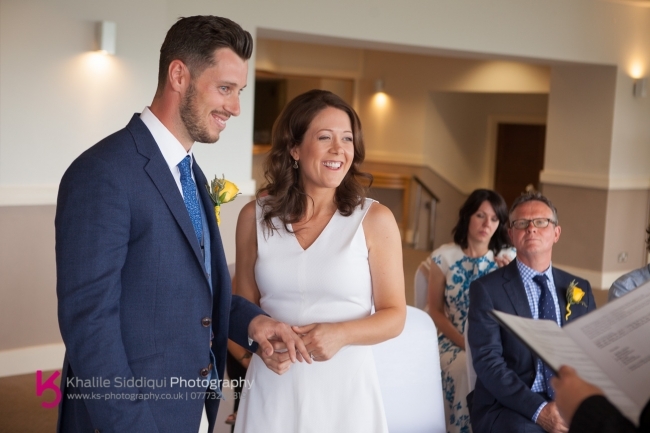 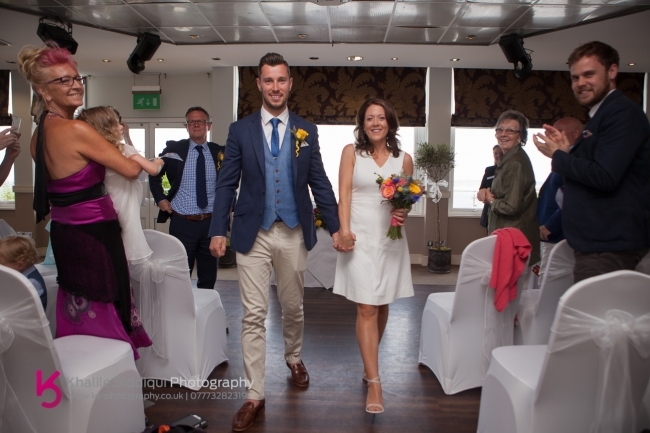 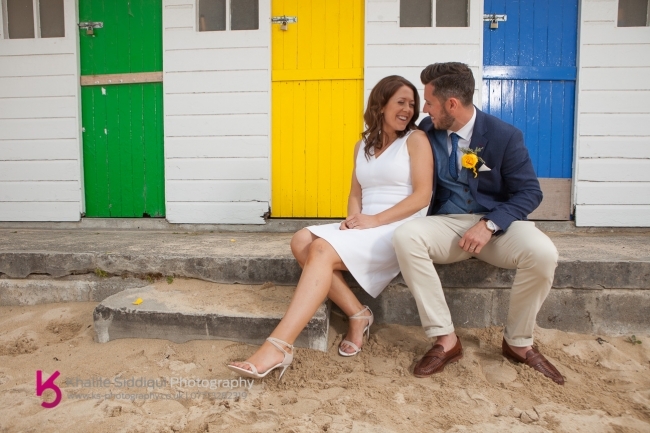 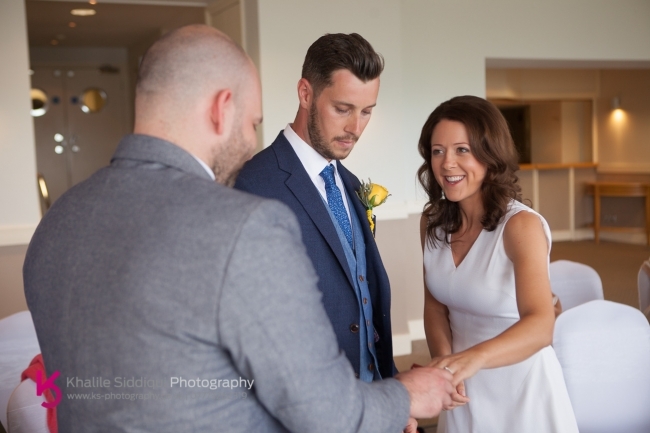 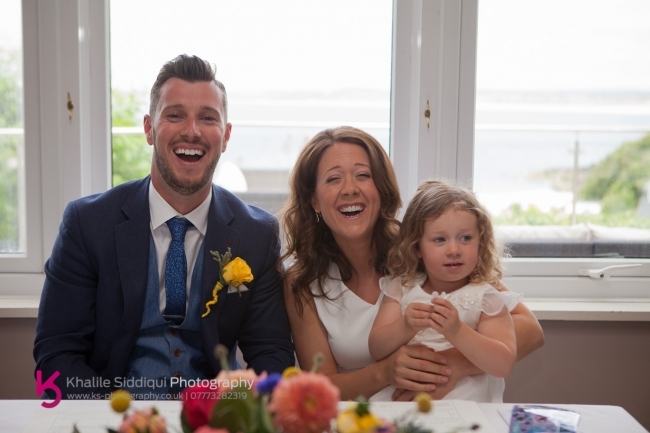 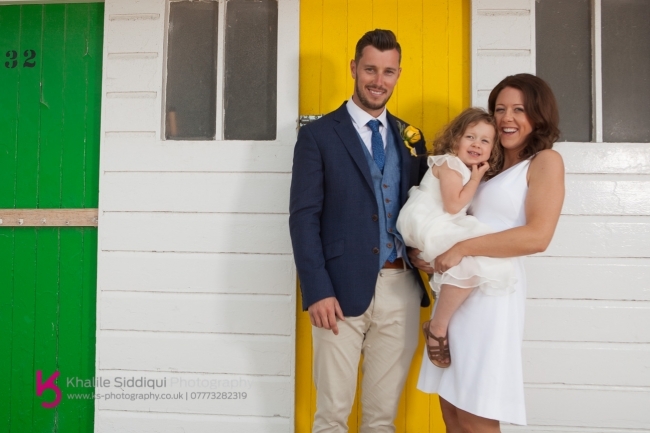 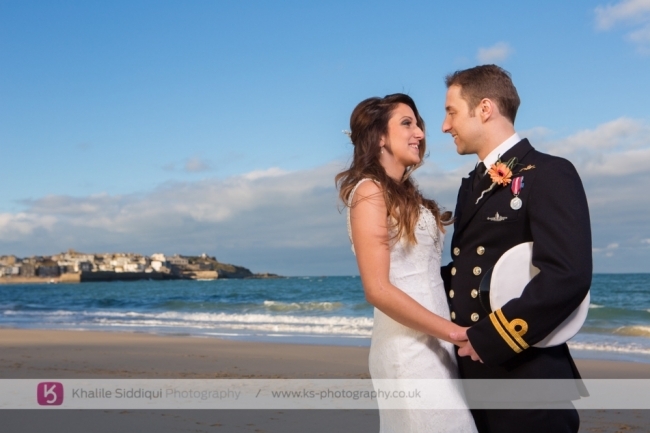 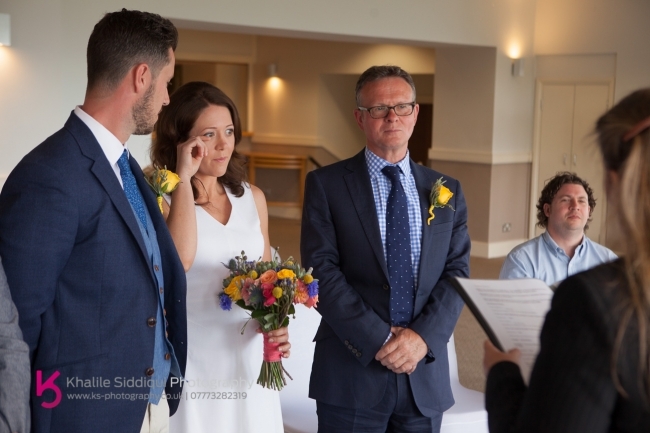 Chloe and Joel's St Ives Harbour Hotel wedding was different to most of our weddings for a couple of reasons. 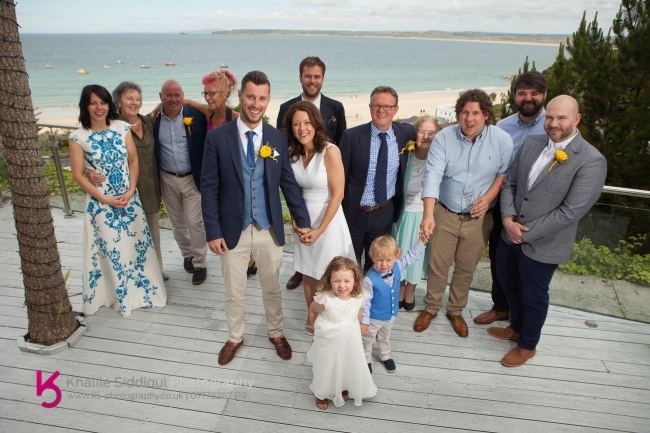 Firstly, apart from a Skype meeting, I didn't get to meet them prior to the big day, and secondly, most regular readers of our blog will know that 95% (at least) of the time our couples either book us after a recommendation or a prior meeting, but Chloe and Joel found me through an advert in a magazine, and I'm very glad they did. 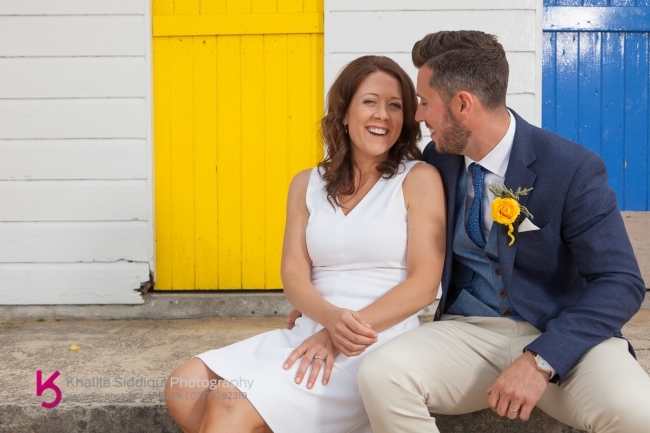 Despite these differences their wedding was still none the less beautiful, romantic and fun! 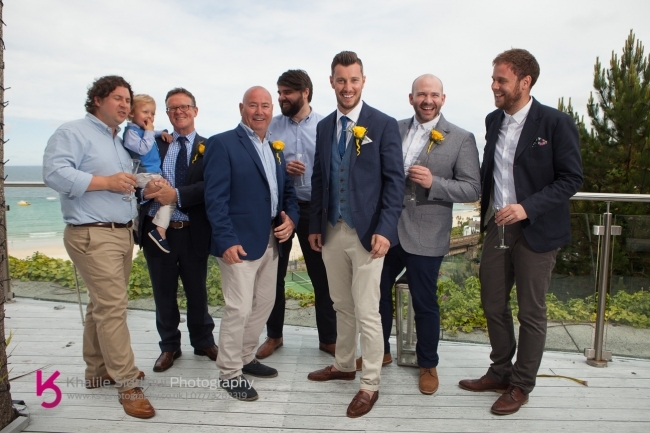 It was a very intimate wedding with a group number of fourteen, with nearly all the guests traveling down from the Manchester area for this very private Monday afternoon wedding. 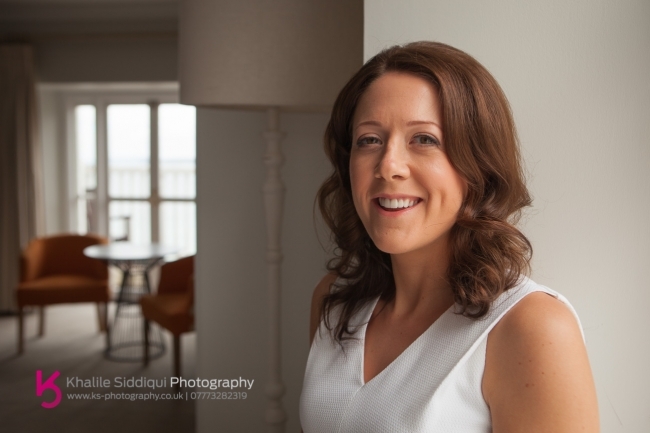 When I arrived at the hotel, I headed up to meet with Chloe and just missed the lovely Ella Butler who worked her makeup magic and I have to say Chloe looked positively radiant. 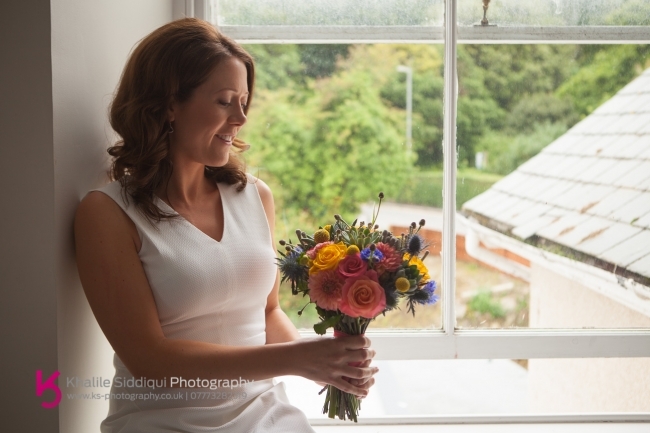 So after getting a few detail shots I captured some photos with Chloe and her Wheal Sara bouquet. 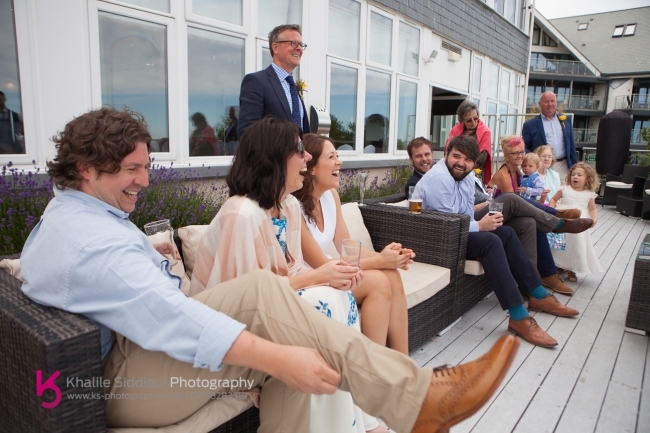 After what was aa emotional private ceremony, it was time for drinks, canapés and group photos on the terrace. 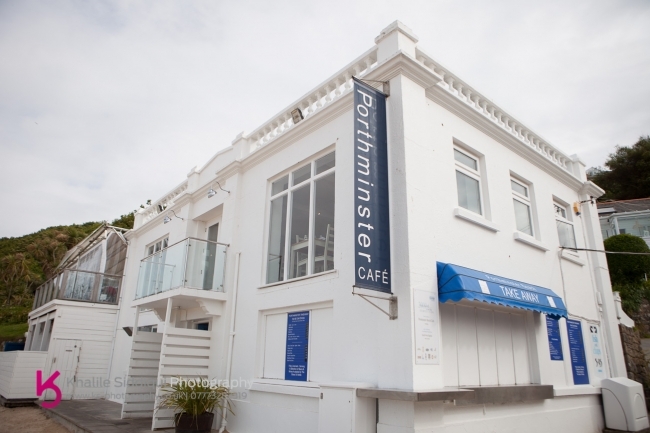 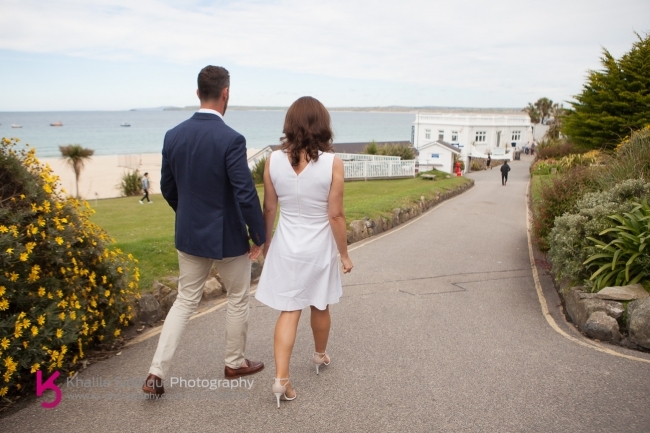 Before we knew it, it was time to head off for a few couple photos on the beach before their reception at the beautifully located The Porthminster Cafe. 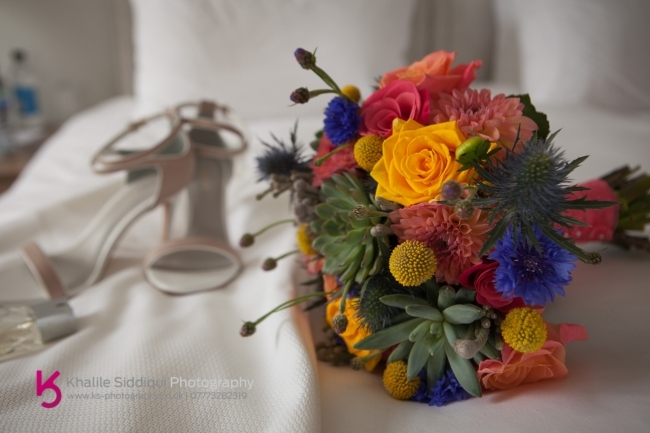 Chloe and Joel, thank you for inviting me into your intimate day, it was an honour and a privilege to spend it with you. 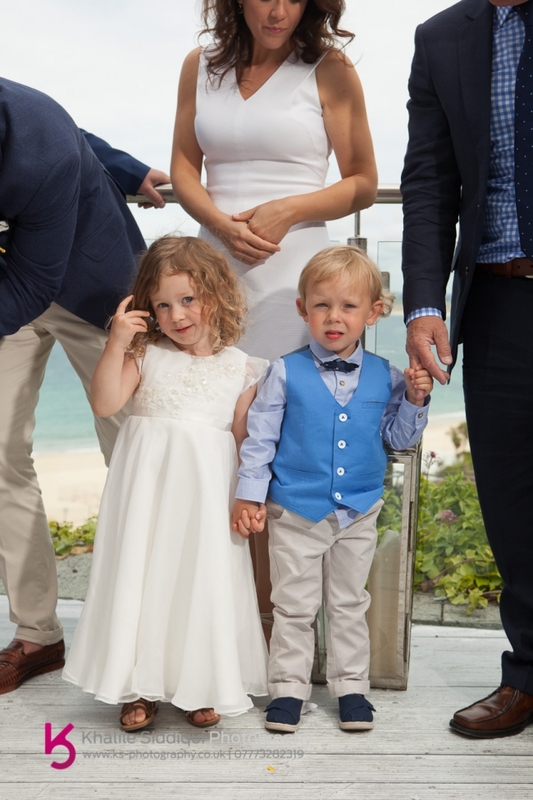 May you have a long, happy and rewarding life together. 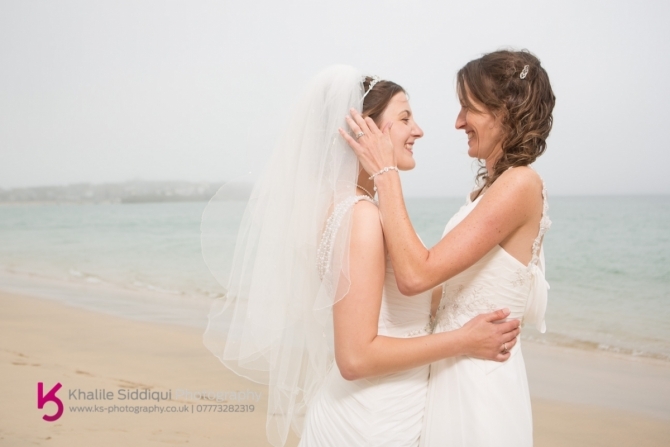 Guests were saying they've never been to such an intimate wedding! 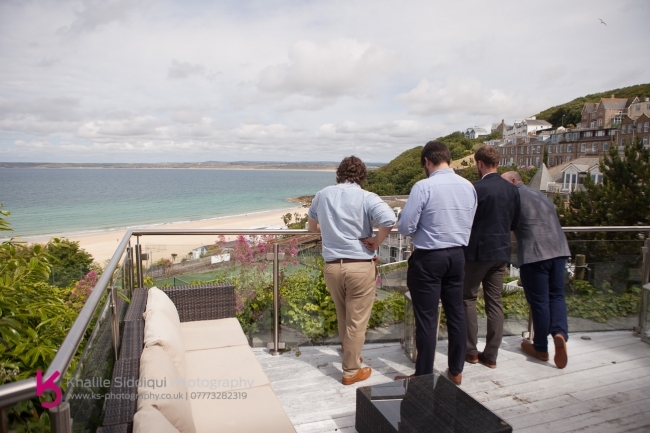 The St Ives Harbour Hotel wedding of Sam Beard and Robbie Williams, with imagery by Khalile Siddiqui Photography, make up by Tamsyn Siddiqui Make up artist and Flowers by Wheal Sarah. 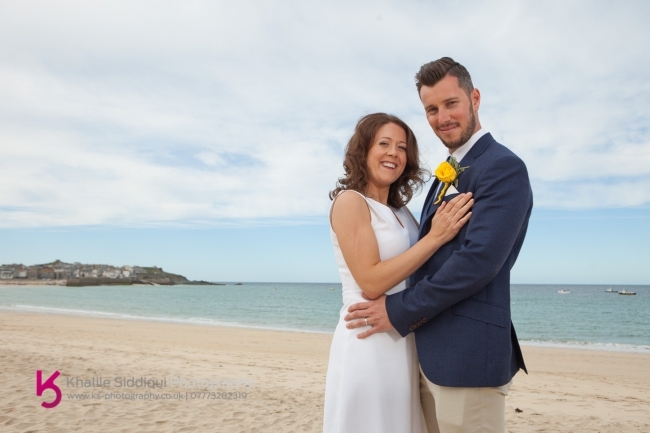 With couple shots on Porthminster Beach and Godrevy. 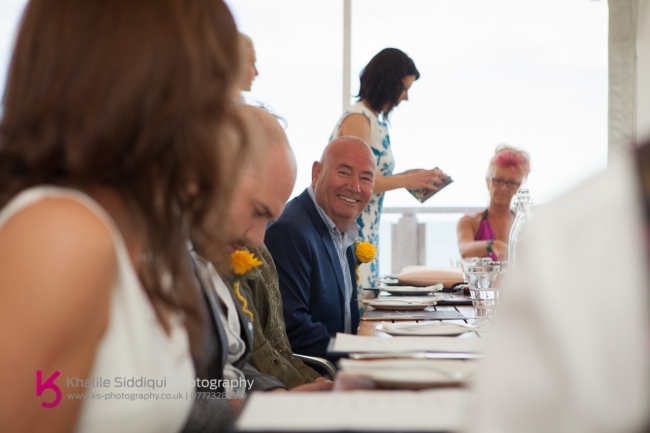 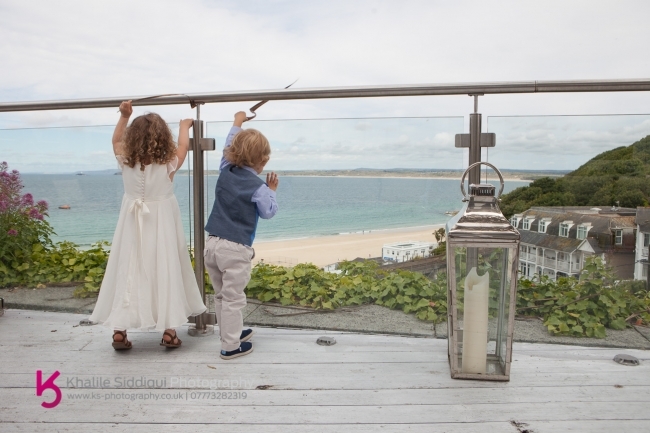 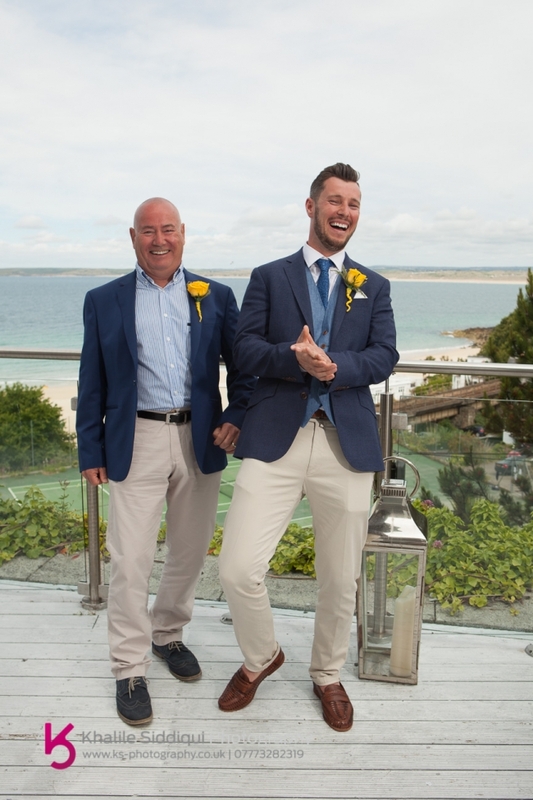 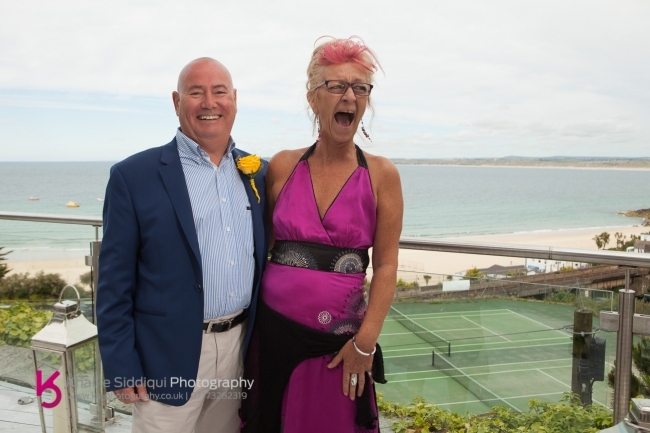 St Ives Harbour Hotel Wedding of Rose & Nick Newquay, with imagery by Khalile Siddiqui Photography, Florestry but Wedding Flowers In Cornwall, and Make Up but Penny Pascoe. 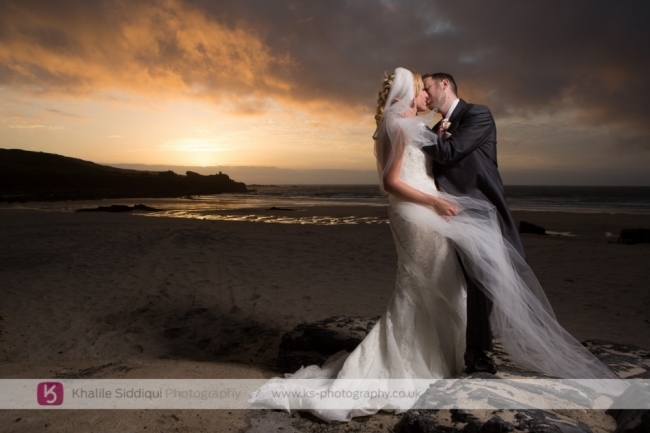 With sunset photos around St.Ives.